If you are anything like me, you always think your recipe is the best. I was convinced that the apple crisp I have been making for the last couple years couldn’t be beaten but was I ever wrong. I tried this recipe last fall and have made it at least 15 times since. It is perfect every single time! It is the ideal combination of rich oat crisp paired with a slightly tart apple (this is important, I will tell you why below) and just the right about of buttery richness. 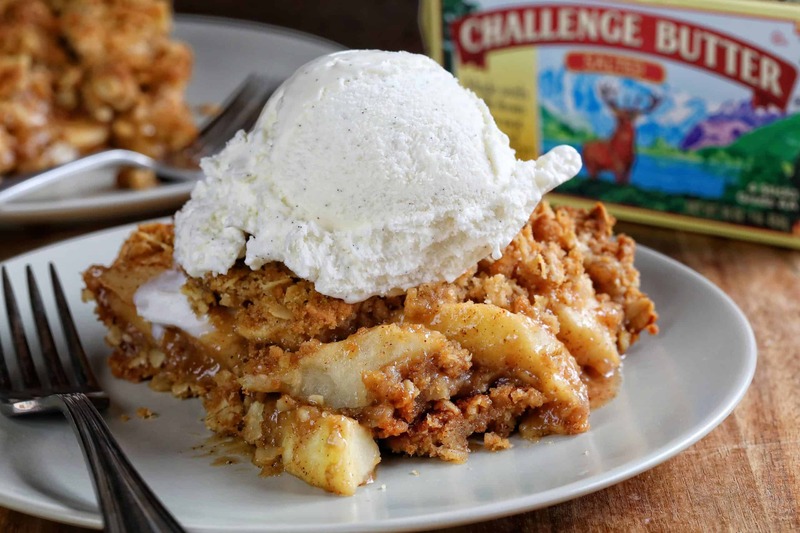 If you are looking for the best apple crisp you have ever tried, look no further. 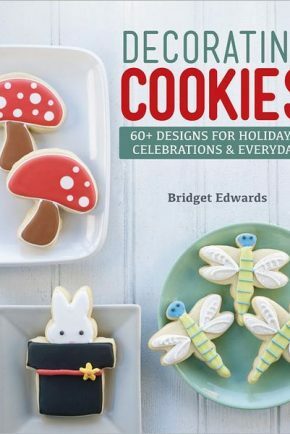 Most recipes call for all granulated sugar or 1/2 granulated and 1/2 brown. 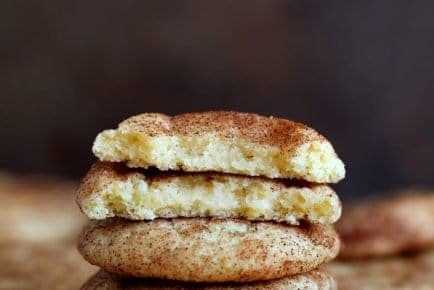 While these recipes are sweet, they lack the depth of flavor that all brown sugar adds. 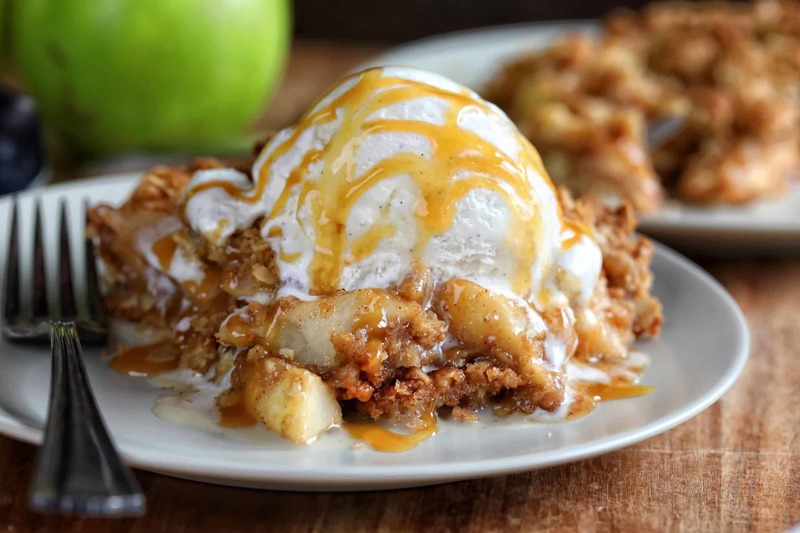 And after you try this apple crisp, you will definitely understand what I mean! I used a light brown sugar, but you can definitely use a dark brown sugar as well. If you don’t happen to have any brown sugar on hand, you can always make your own! For light brown sugar add 1-2 tablespoons of molasses to 1 cup of granulated sugar. For dark brown sugar add 3-4 tablespoons to 1 cup of granulated sugar. I like to mix up a big batch in my food processor but you can also mix by hand if you prefer. As you can see I use brown sugar in the apple coating as well as the oat mixture. But let’s talk about the butter because that is equally important! I like to use a good quality butter like Challenge Butter. It’s churned daily from two natural ingredients: the freshest 100% real pasteurized sweet cream and salt. That’s it! 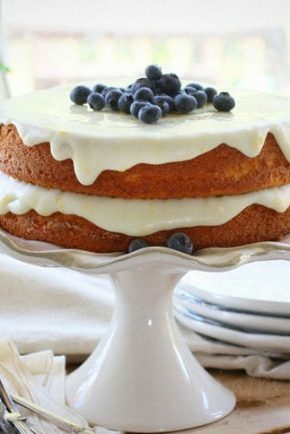 The taste is pure, and the flavor is consistent, which is extremely important in baking. One thing that makes this recipe unique is that the oat mixture is used on the top AND the bottom. The amazing thing about this layer is that it changes depending on how long you bake the crisp. If you bake at 375°F for 35 minutes, the bottom oat mixture will be slightly caramelized and gooey while the top will be perfect crispy deliciousness. If you bake at 375°F for 45 minutes, the bottom oat mixture will be crispy throughout. The top will be darker, but if you prefer a less dark crispy top you can add a foil tent to the crisp after 35 minutes. 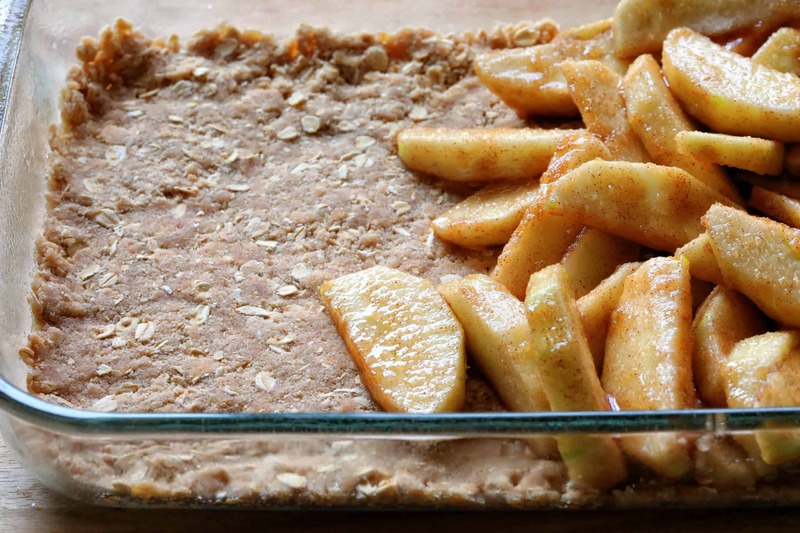 This recipe calls for 10 cups of apples after they are peeled and sliced. I found this to be anywhere from 7-9 apples depending on the size. When preparing this recipe I like to wait until the very last moment to peel and cut my apples as I want them to stay as crisp as possible. And whatever you do, don’t skip the peeling! 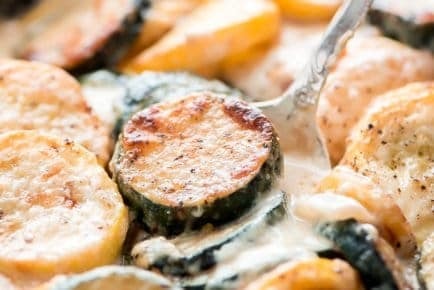 Once you try this recipe you will never want another! 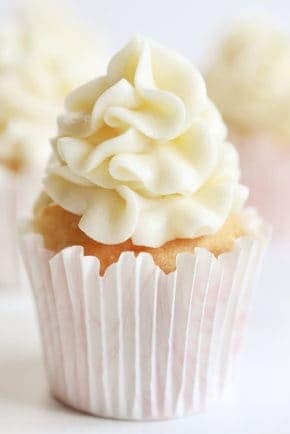 Perfection in every bite! Preheat oven to 375°F. 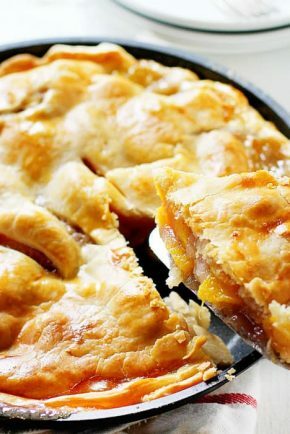 Prepare a 9x13 pan with baking spray or coating with butter. Place sliced apples in a bowl. Add brown sugar, flour, and cinnamon. Stir gently and make sure every piece of apple is covered in the sugar mixture. Set aside. 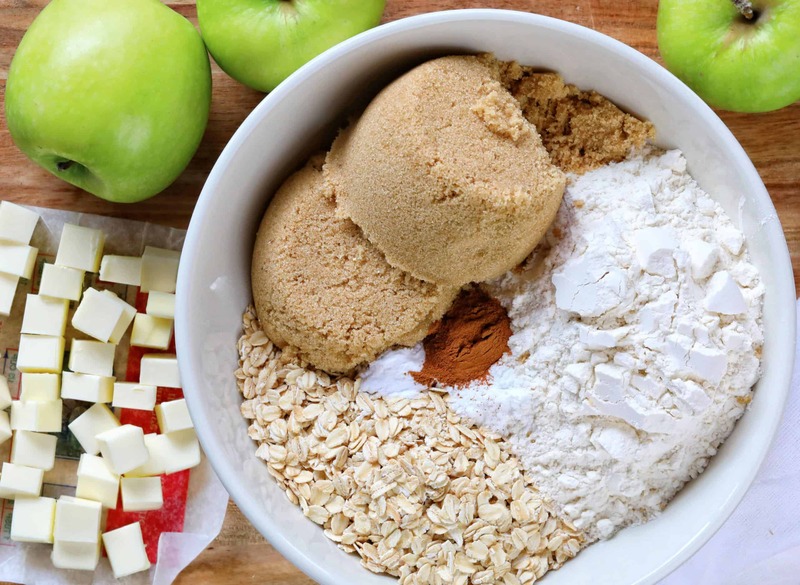 Combine the oats, flour, brown sugar, baking powder, baking soda, and cinnamon together. Add in the cubed butter and use your hands to combine. You want the butter to be pea-sized and coated entirely. You should have 6 cups. Spread 3 cups over the bottom of your prepared pan and press flat. Pour the apple mixture over top and press down with rubber spatula. Pour remaining crisp mixture over top of the apples and bake uncovered at 375°F for 35-45 minutes. 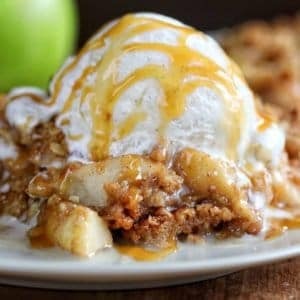 Can I use my frozen apples for this recipe? I have not made this with frozen apples so can’t speak to it’s effectiveness. 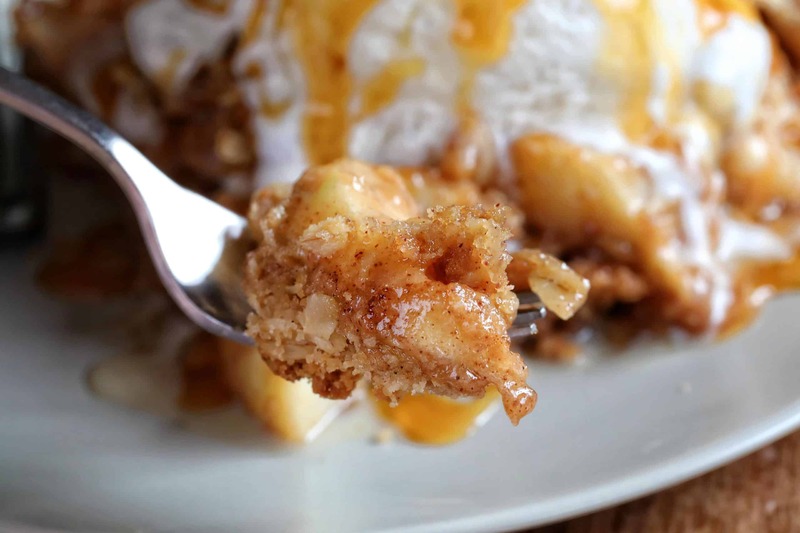 The best Apple crisp ever!!! I tried this recipe. Even though I used Granny Smith apples, It was way too sweet for my taste. Next time I will 1/2 the amount of sugar in both the apple filling and crumble. I did really like the extra crumble though! I was afraid the bottom crumble crust wouldn’t bake well enough. Too sweet. I suggest cutting the sugar in half and adding more oats. I made this last night for husband, son, daughter-in-law, and 3 grandchildren. It was a huge success. I served it warm with vanilla ice cream and caramel syrup.Delicious!!!!! Oooo this recipe is THE best! You can taste every ingredient. I used real butter n wasn’t stingy! Soooo good. Try adding a bit of chopped black walnuts and drizzle a tiny bit of Carmel on top. Please state what kind of oats you are using.too. Quick oats or Old Fashioned. Thank you! I’ll try it soon. Can you use old fashion oats?? I also want your tomato soup recipe,can you send me the recipe. I love your recipes. But this is one of my favorites. But i think goo much sugar definitly. I wanted crispy top and bottom, so I blind baked the bottom oat layer only for 5 minutes, then added apples and top crisp mixture and baked for 35 minutes. Perfectly crisp, top and bottom, no need to tent.